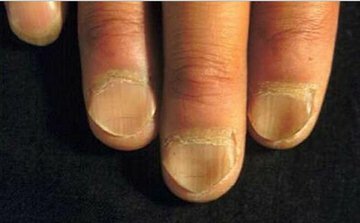 Koilonychia, the opposite of clubbing, is a condition of the person’s nails which has a characteristic of flat or depression of the convexity of the person’s nails. It is most often associated with the disease condition particularly iron deficiency anemia. 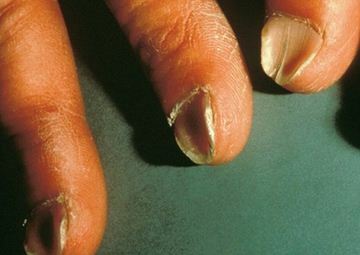 Some experts would described a person having this disease as someone who have spoon-shaped nails. The nails of persons who are inflicted with this kind of condition, have soft and thin nails. Aside from that, the nails of persons with Koilonychia has a characteristic of brittle and thin nails. Still others would define it as a dystrophy or an atrophic kind of deformity of the person’s fingernails which may be brought about by a lot of factors which will be defined further as we go along. The nails of this persons will take longer time to return to the normal phase. This kind of condition may be either associated with other disease or syndromes or perhaps inherited as this kind of disease is an autosomal dominant kind of disease. The person having this disease condition actually will experience the disorder that affects the nail color, texture, shape and thickness of either the person’s fingernails and toenails. There is a big possibility that the person with koilonychia will have ridges, yellow colored nails and will be susceptible to opportunistic infection. As the condition becomes worse, without treatment, the nails may eventually fall off or perhaps the person will experience a permanent damage of their nails. It is actually a symptom which may be associated by a disease condition.